Do you want to organize a romantic “escape” from the gloomy monotonous days? Or spend an unforgettable honeymoon? Or maybe you and your loved one dream of reviving your feelings and experiencing something unimaginable? Choose the most romantic islands in the world from uabrides.com list and go there as soon as possible. They will definitely turn your pastime into a fairy tale. One of the most romantic islands in the world is Bora Bora. It takes only one hour to fly from Tahiti to this amazing island. Its lagoon resembles the palette of the artist, in which the different shades of green and the color of the sea wave prevail. In this part of French Polynesia, you can fall in love at first sight: the perfect beaches with white fine, emerald waters where live fish of every possible coloring and size “animate” coral reefs. Here privacy is appreciated. No one will disturb your privacy in the bungalow on the water. So, you can be sure that your vacation will be perfect. If you don’t have the opportunity to fly to the most romantic Caribbean islands, you can always fly to French Polynesia. The Republic of Seychelles is recognized the most romantic and beautiful place. It is the “paradise islands” or “earthly paradise” where nature is pure and tender. Seychelles consists of more than 100 islands. They are perfect for recreation and have the most incredible landscapes of untouched nature. They say that there are no such beaches, underwater and plant world on the planet. Holiday in Seychelles is a real fairytale. This is the place where the word “romance” was born. Santorini takes a special place in the ratings of the most romantic Greek islands. This island is a truly wonderful corner of the planet. At the end of the day, the Cretan Sea begins to play with all shades – from pink to almost crimson and seems that you are in paradise. This ancient island arose after a powerful eruption of the volcano. Here everything seems dazzling and bright: white houses, sky-blue “covers” of churches, scarlet and lilac flowers, gentle sea waves. What else can a magical island offer you except admiring nature and sunsets? Fine local wines, ancient buildings, beaches with unusual (volcanic) black sand and, of course, diving and bathing in gentle water. Ko Lipe is one of the most untouched places on the planet and, perhaps, the most beautiful of the romantic islands. Ko Lipe is situated almost on the border of Thailand and Malaysia. This is the only one inhabited island of this archipelago. Here come fans of bliss and divers. And it is not surprising because a quarter of the species of marine life that exist in nature can be met in the coastal waters of Ko Lipe. There are no five-star luxury hotels, crowds of tourists, and noisy discos. But the absence of these indispensable attributes of expensive and popular resorts in Thailand doesn’t mean that you meet poor service and unfriendly people. Phi Phi is a resort with snow-white beaches and secluded nature. Most of the guests here are divers and newlyweds. The archipelago consists of six islands: Phi Phi Don is inhabited and the northern island and Phi Phi Leh is uninhabited and the southern one. The best time to visit the archipelago is between November and April. The rainy season is similar to those that are everywhere in the surrounding mainland areas of Thailand and is not an obstacle to active recreation. 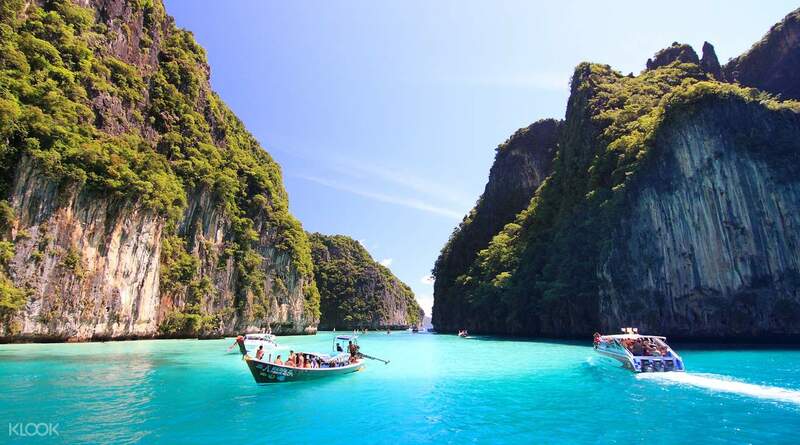 In a word, the island of Phi Phi is created for those who want an amazing holiday, see the most beautiful nature, wild impassable jungle, exotic species of animals and birds, trees and plants, sun and the purest sea water. ← Previous Story What I Wear Does Not Judge My Character.